For those who have a penchant for living green, collecting rainwater should come as second nature, but why bother to do so with a rusty old bucket when you can always spruce things up with the Petal Drops? 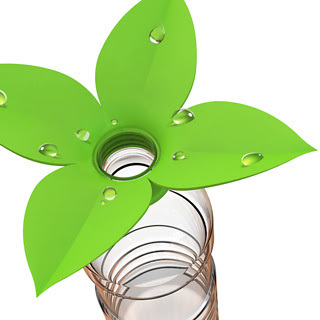 This idea is made out of 100% recycled flower-shaped funnels that can screw onto any standard threaded plastic bottle, helping channel water inside whenever it pours from heaven. After all, you might as well make full use of those empty plastic bottles that will be chucked out eventually anyways. One thing though, empty bottles might not be so stable in the beginning, and whenever there is rain, it tends to be accompanied by some strong winds as well, so you might want to take note of that before dropping (pun not intended) £4.99 for the Petal Drops.